Death Star passed 25,000 signatures, it rated a response from the White House. 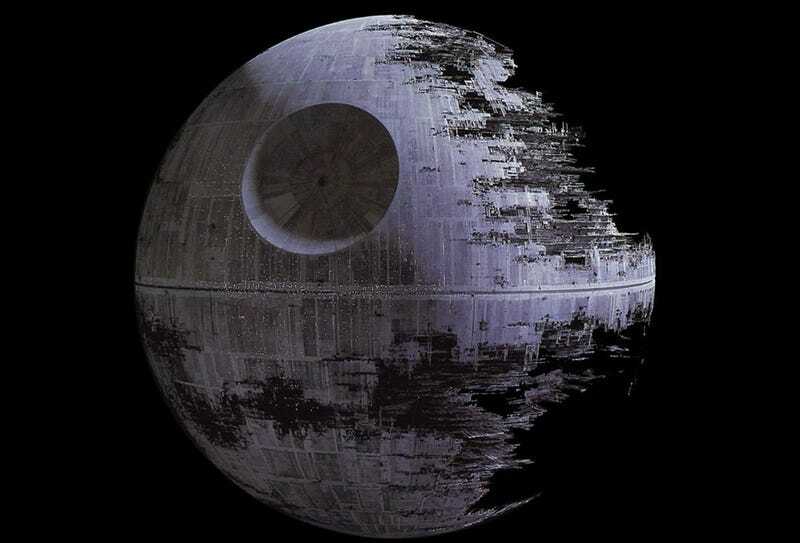 First, the bad news: we're not getting a Death Star. There is, however, a bit of good news: the person assigned to responding to the petition has both a firm love of science and a geeky sense of humor. •The Administration does not support blowing up planets. •Why would we spend countless taxpayer dollars on a Death Star with a fundamental flaw that can be exploited by a one-man starship? However, look carefully (here's how) and you'll notice something already floating in the sky — that's no Moon, it's a Space Station! Yes, we already have a giant, football field-sized International Space Station in orbit around the Earth that's helping us learn how humans can live and thrive in space for long durations. The Space Station has six astronauts — American, Russian, and Canadian — living in it right now, conducting research, learning how to live and work in space over long periods of time, routinely welcoming visiting spacecraft and repairing onboard garbage mashers, etc. We've also got two robot science labs — one wielding a laser — roving around Mars, looking at whether life ever existed on the Red Planet. Keep in mind, space is no longer just government-only. Private American companies, through NASA's Commercial Crew and Cargo Program Office (C3PO), are ferrying cargo — and soon, crew — to space for NASA, and are pursuing human missions to the Moon this decade. I suppose if the White House isn't building a Death Star, that saves us the trouble of then petitioning the government to advance funding to genetic sciences to create a race of uncannily competent teddy bear-like warriors. Plus, it saves the government the expense of licensing the plans from Disney.